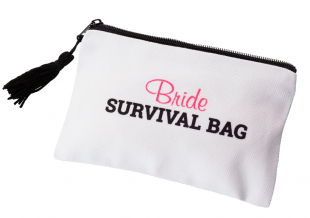 All her wedding day essentials for those little emergencies can be found in this survival bag for the bride. 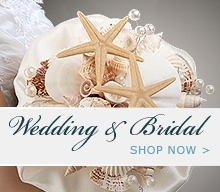 Brides can be prepared for anything with this survival kit close at hand. 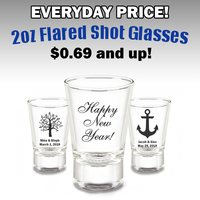 Survival kits make great gifts for the bride. 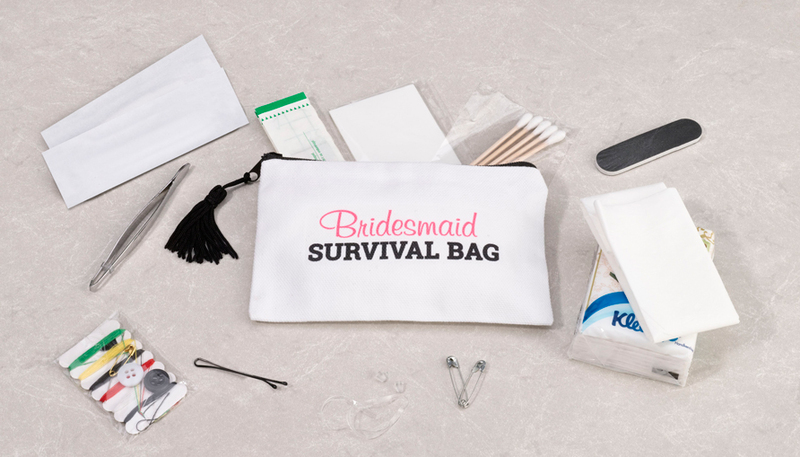 Contents included in this canvas survival bag: 1 sewing kit, 1 pair of Tweezers, 2 bobby pins, 2 safety pins, 1 travel-size Kleenex, 1 nail file, 5 q-tips, 2 Band-Aids, 2 blister pads, 2 earring backs and blotting papers. Survival bag measures 6.5" x 4".